We need your Vote! Joy of Dance has been nominated for Top Dance Studio of 2015! Joy of Dance is very excited to be nominated for Top Dance Studio of 2015 in the city of Toronto! We are very excited but we need your vote! 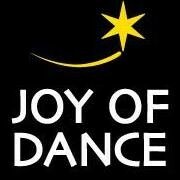 Simply visit http://www.topchoiceawards.com/ and vote for “Joy of Dance” in the Vote Now section! Happy 2015 and happy dancing!